Eastman's Auto Track Falcon II offers automatic traversing of the cutting head and an automatic lift feature. 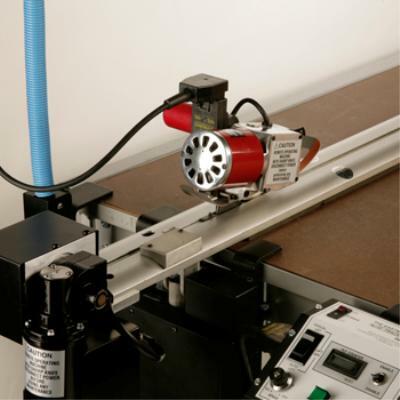 Both features enhance cycle time and throughput in comparison to manually-operated models. The remote control enables the operator to activate the Auto Track Falcon's cutting cycle as soon as the operator is finished pulling the ply down the table. Additional fees may apply with added options or features.